When India falls to her death from a bridge over a railway, her sister Poppy returns home to Brighton for the first time in years. Unconvinced by official explanations, Poppy begins her own investigation into India’s death. But the deeper she digs, the closer she comes to uncovering deeply buried secrets. Could Matthew Temple, the boyfriend she abandoned, be involved? And what of his powerful and wealthy parents, and his twin sister, Ana? Enter the mysterious and ethereal Jenny: the girl Poppy discovers after hacking into India’s laptop. What is exactly is she hiding, and what did India find out about her? Taking the reader on a breathless ride through the winding lanes of Brighton, into its vibrant party scene and inside the homes of its well-heeled families, The Other Twin is a startling and up-to-the-minute thriller about the social-media world, where resentments and accusations are played out online, where identities are made and remade, and where there is no such thing as truth. Lucy V. Hay script editor and blogger who helps writers via her Bang2write consultancy. She is the associate producer of Brit Thrillers DEVIATION (2012) and ASSASSIN (2015), both starring Danny Dyer. 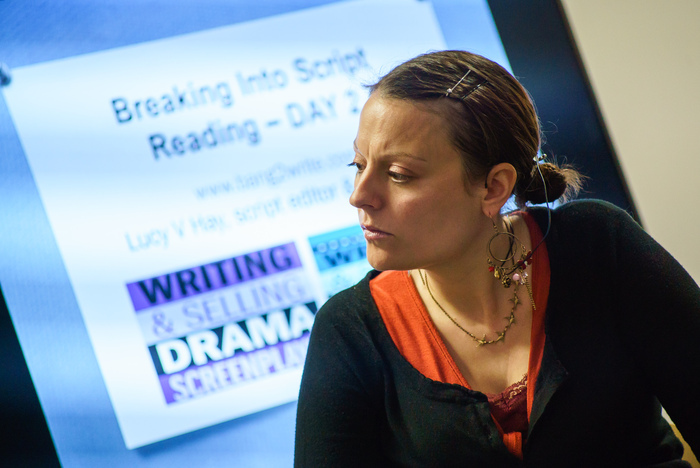 Lucy is also head reader for The London Screenwriters' Festival. Lucy is also an author, writing both screenwriting books and crime fiction. I liked this book but I wasn't blown away with it. I think I was hoping it would be more adult than YA-Teen. I found myself thinking that the main character Poppy was very immature for her age and some of the things she did showed this. 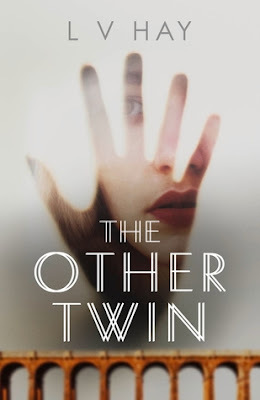 For the most part this novel the story flowed well expect for a few parts where I struggled to stay reading. I did like how it touched on a few of today's topics that kids are dealing with - suicide, depression and the LGBTQ community. Using blog posts and comments online to trace India's final days alive, who she was with and what must have been going through her mind. The characters in this story were well developed and had you trying to figure out who has what secrets and what really did happen to India. I feel I should give this book a 3.5 out of 5 stars as I don't think I would read it again but I would recommend it to others to read.